Fist of the North Star Lost Paradise takes place right at the end of the first arc of the series as Kenshiro is finally getting ready to take on his rival, Shin, to rescue his beloved, Yuria to finally live in peace. However all is not as it seems, once Shin is defeated, you learn that Yuria has been whisked away already and Kenshiro goes on the hunt again to find her. This brings him to the paradise town known as Eden. Once inside, Kenshiro must begin his quest to find Yuria behind these walls. Along the way, making new allies and learning the dark secrets behind this so called paradise that is Eden. Right away, the writing in the game will honestly leave people a bit divided. If you are a huge fan of the anime and/or manga, don’t expect this game to be a faithful adaptation to the source material. While the game is seen as a side canon, it takes a lot of creative liberties on a few key points in the series. Notable examples of this would be the fight with many key characters throughout the series. All of this said, the writing is extremely true to the source material to say the least. The game is broken up into about 12 chapters. Each chapter has a very similar structure to that of an episode from the anime. When someone is in trouble, Kenshiro answers the call. 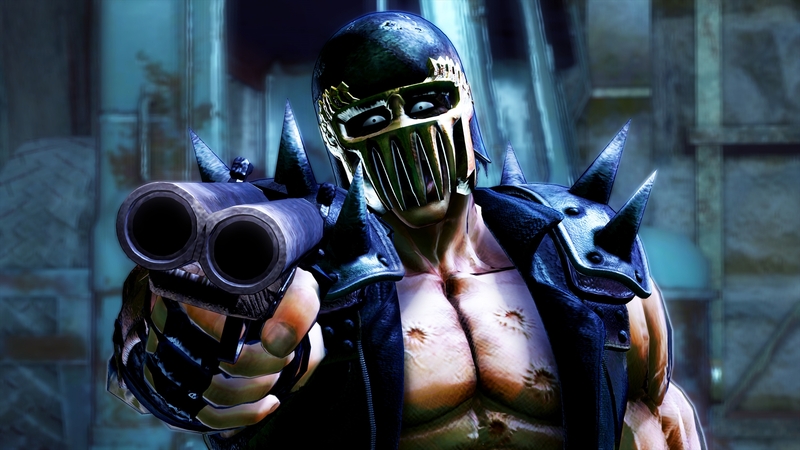 An omae wa mou shindeiru later, the problem is solved and Kenshiro is one step closer to finding Yuria. While a lot of these chapters tend to be on the shorter side, I honestly really enjoyed the story that was being told. I was actively invested in Kenshiro’s struggles and his desire to not only save Yuria, but protect the city of Eden that adopted him. While I really did enjoy the story of the game, there were a few things that kind of rubbed me the wrong way. The biggest example would have to be the pacing. The first part of this game is paced really weird at times. You are introduced to a lot of characters that go from hating Kenshiro’s guts to loving the man in the span of a few moments. We had a character who came across as someone who would hate Kenshiro the entire time through, but after a battle or two, he came around to being his new best friend. While i’m not against this, this happened before a plot point that would have made it make sense for him to warm up to Kenshiro. The game also has a habit of throwing in a lot of titular characters of the series one right after another with not much explanation as to why they are there. Honestly, it’s really just fan service for fans of the show. I can’t harp too much on it, but the pacing of the first half of the story is really everywhere regardless. At its core, Fist of the North Star Lost Paradise is still a Yakuza game. It really does show it off extremely well. For those coming in off Yakuza games, you will find the core combat system to be right at home for you. You have your standard attacks and you can string them together to perform some gnarly combos. The biggest difference here would have to be is how the game treats “heat moves” or special techniques as the game calls it. Above every enemies head is a skull. As soon as it fills up, you’re able to strike their hidden pressure points to then perform some powerful Hokuto Shinken moves. These moves are essentially heat moves with quick time events to boot. The better you perform during the quicktime event the more powerful the move will be. You can also level up these special techniques as well to do even more massive damage. Since you can perform your special techniques whenever you stun an enemy, you must be wondering what the “heat bar” is for. Once you fill up the North Star, you are able to go into a burst mode. Your moveset will open up even more as Kenshiro will now have the ability to deal more damage, and jump around to perform some really powerful moves. I honestly love burst mode and do my best to always get into it. The types of air combos that you can perform in the game is satisfying. Even when not in burst, you can perform some really awesome juggles that will make you feel near unbeatable at times. The combat is just a downright power trip and I can spend hours going around Eden and the wasteland beating up thugs for fun. Speaking of the wasteland, there is more to the world to explore outside of Eden. While Eden itself is a small city, probably no bigger than Yakuza 6’s Onomichi, you have an entire wasteland to traverse. Kenshiro has a buggy that allows him to move around the wasteland with ease. This is normally where you will do most of your grinding for level ups, as you can fight enemies in much larger hordes out here. While driving around the wasteland blaring Receive You North Star at the top of my speakers was fun at first, you soon begin to learn that the wasteland really does live up to its name. While there are settlements to visit, treasures to find and thugs to practice baseball with, the wasteland does not really have much to offer. While it was the focus of a few substories, I often found myself never really enjoying my time driving around for more than a few minutes at a time. All of that said, it can be a real power trip driving around the open wasteland and blaring music and beating up thugs, it’s just not something I would want to do consistently. Similar to its Yakuza roots, Fist of the North Star Lost Paradise has quite a bit of side content for you indulge in. You have your standard casinos to gamble away your hard earned money and you even have the now series standard Cabaret Club to run. There are also arcades that you can help restore, and Colosseum battles to partake in. However, this game also brings a lot of different side content for you to do. 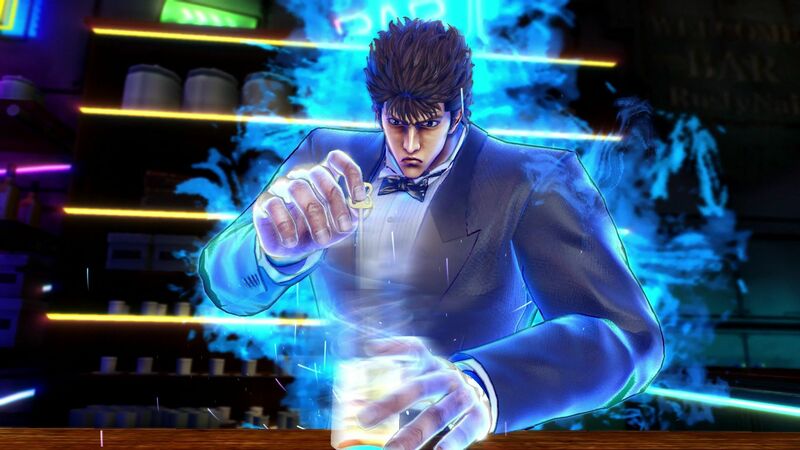 Kenshiro can spend his night as a bartender where you’ll have to shake your controller like its a cocktail mixer, crafting ice balls, and many other crazy things. You can also put your magic hands to the test at the clinic by curing patients in a rhythm mini game as well. You can trick out your buggy and take part in some pretty fun races as well, so your buggy will have much more use than driving around the wasteland. Outside of that you can even take part in a bounty system to help clean up the streets of Eden as well. To help with the world building of Eden there are about eighty sub stories for you to complete as well. Each one of them managing to stick to the charm of Fist of the North Star. While the story itself may be on the shorter side, the sheer amount of side content in this game can easily rank up there with Yakuza 0 or Kiwami 2. One thing this game has over its Yakuza counterparts would have to be the very creative boss battles. For the most part, all of the boss fights have you going up against major characters throughout the Fist of the North Star series, and each boss is very unique from one another. This went a long way in adding a different degree of challenge for every boss fight, and made it much more fun to explore all of their weaknesses and what they were capable of. Fans of the Yakuza series should keep an eye out for a certain series mainstay boss, as they will definitely get their moneys worth from him. To top it all off, the cinematics in the boss fights are great when it comes to the finishing quick time events, while it was a bit odd to end every fight in a make or break quick time event, I none the less found them exciting to go through. For those of you Yakuza fans coming into this game off the heels of Yakuza 6 or Kiwami 2, you are probably wondering why this game looks more like Yakuza 0 or Yakuza 5. 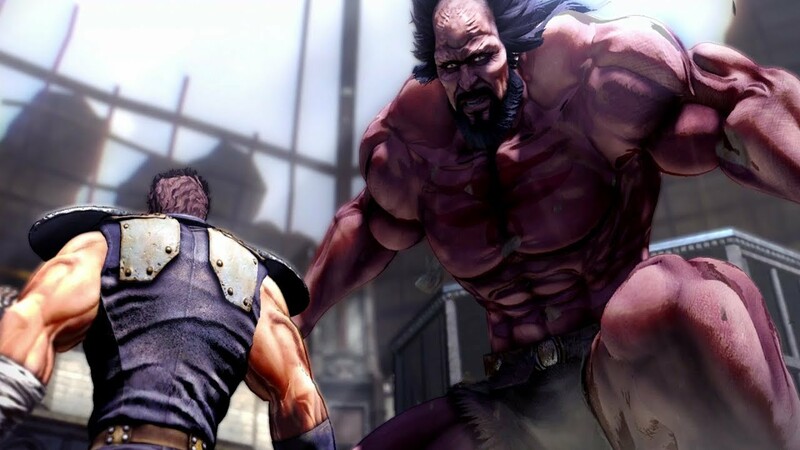 Fist of the North Star Lost Paradise does not make use of the Dragon Engine, as the development team for the game was made up of a lot of freshman developers at Ryu ga Gotoku Studio. That said, the game gets a lot of mileage out of the older engine thanks to its cel shaded look. The games artstyle also does a great job of staying true to the Fist of the North Star style, and it honestly makes me feel like I am really in this world. Exclusive to the World Wide release of the game, you are able to increase the carnage done on screen. This honestly makes the combat so much more satisfying and makes every combo you perform feel rewarding. The game also returns to sixty frames per second giving you the optimal performance to lay waste to baddies of the wasteland. Staying on track with presentation, the last thing I wanted to talk about is the localization of the game. 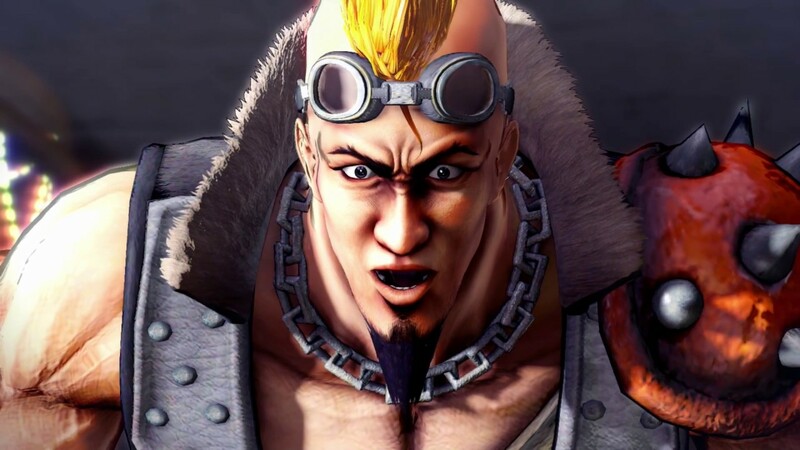 Fist of the North Star Lost Paradise was not localized by the main Yakuza localization team as they were busy working on Yakuza Kiwami 2 and Project Judge. Seeing another team get their hands on this series was pretty interesting as I didn’t know what to expect. The end results were at first a little rough around the edges, the overall job was nicely done the further you go into the game. That said for people asking me how they should play the game well here is what you should do when you start up. The english dub of this game is well, pretty rough. While there are a few good performance, the majority of them fall rather flat. A lot of the voice actors weren’t able to convey the same level of emotion as the characters that were being portrayed. An example would have to be Kenshiro, while yes he is supposed to be a stoic hero, his line pacing is very jarring and can sometimes make scenes feel like they are dragging on. A sad consequence of the english dub is that the games script is affected by this. If you are playing with subtitles on with the Japanese dub, the script that is being provided is the one that is used in the english dub. There will be many times you will get mismatched audio on what is being said by the characters on screen versus what is being typed. This is a real shame too, because how all of the characters are written for the english dub are a tad bit lackluster. Going through a lot of this dialogue felt more like a chore, and didn’t feel like it had the same quirkiness of that of a Yakuza game. Which is a real juxtaposition when you can see how the characters are acting versus what is being said on screen. Fist of the North Star Lost Paradise is seriously a good game, and is honestly one of the best anime based video games I have ever played. The game does an amazing job of putting you in the shoes of Kenshiro, and allows you to lay waste to hordes of baddies in an over the top and gruesome manner. The mix between this series and Yakuza honestly seems like a match made in heaven, and at times it truly is. Sadly, the poor pacing of the story at the start and the rocky localization early on hold the game back from being something truly breathtaking. All of that said, if you are a fan of either Yakuza, Fist of the North Star, or both you will still find yourself getting lost in this wasteland and I can still fully recommend this game. Here’s hoping Ryu ga Gotoku studio will continue to look into these crossover projects. Posted on October 1, 2018, in Reviews. Bookmark the permalink. Leave a comment.